There are hundreds of Revolutionary War Attractions you can visit today across the East Coast of the United States. 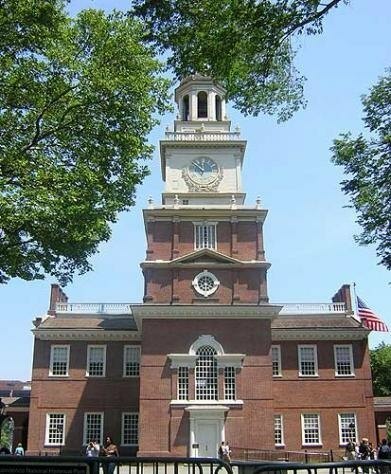 On your vacation, you can visit places like Mount Vernon, the home of George Washington, Independence Hall in Philadelphia, where the Declaration of Independence was signed and battledfields such as Princeton, Yorktown, Brandywine and Cowpens. Have you visited a Revolutionary War Attraction? Would you like to share your vacation with others? We would love to hear about your experience, the most interesting things you saw and learned... anything about your trip to a Revolutionary War Attraction that you'd love to share. If you've been to a Revolutionary War historic site, such as a battlefield, the home of a Founding Father or a rebel campsite, such as Valley Forge, please share your vacation story with the Revolutionary War and Beyond family. We'll give your story its own page on our website for all the world to see. You can tell your friends and family about your webpage so they can see it, too. If you have a story you would like to enter, click on the state where the historical site you visited is located and follow the directions. Do you have pictures of your vacation? You can share those, too. If you would like to read the Revolutionary War adventures of other visitors to this site, click on the state below you are interested in and read their submissions at the bottom of each page. This might help you plan your own trip to a Revolutionay War historic site. *If the site you visited was in Vermont, enter it in the New York attractions section, because Vermont was part of New York at the time of the American Revolution. *If the site you visited was in Maine, enter it in the Massachusetts attractions section, because Maine was part of Massachusetts at the time of the Revolution. *If the site you vistited was in West Virginia, enter it in the Virginia attractions section, because West Virginia was part of Virginia at the time of the Revolution. *If the site you visited was in Florida, Indiana, Kentucky, Ohio, Tennessee or some other place outside the original 13 colonies, enter it on this page with the form below. Did you travel to a Revolutionary War site outside the 13 colonies? There are sites from the American Revolution in places like Florida, Kentucky, Ohio and others. Why not share your trip with the world? It's free and easy to do. There is no registration and there is no other obligation on your part. Be sure to add your favorite picture, too! Share your favorite picture from your trip to a Revolutionary War site outside the 13 colonies. Click the button and find the picture on your computer. Then select it and type a caption about the picture.